I started this book blog in June 2009. I've read more than I ever have since. Book Blogging is almost like a drug. I love keeping a record of what I've read and how I felt about it. I only wish I started sooner! I'm sure there are many books that I have forgotten about. I do have some favorite books that carried me into this whole blogging thing. Take a peek below and see! 01. 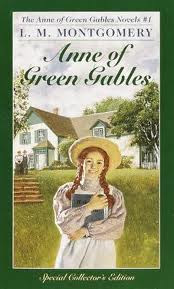 Anne of Green Gables by LM Montgomery is one of my most favorites of all time. I read it when I was 12 yrs old. I went back to the library and grabbed the other 7 books and devoured them. My Mom thought something was wrong with me because I was reading so much--and she's a reader! I've always longed to go to PE Island and have a soft spot for Gilbert. 02. 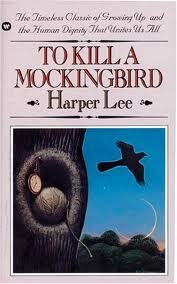 To Kill a Mockingbird by Harper Lee- I read this in high school. Twice actually. I'd never read anything quite so beautiful. The writing is brilliant. It has been about 15 years since I picked this book up, which is far too long. I'm going to need to re-visit it soon. 03. 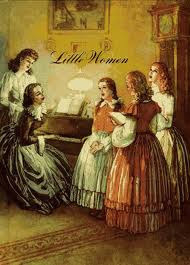 Little Women by Louisa May Alcott-My mother read this to me and my sisters. We always felt like the March family. We have so many similarities. From a family of all women to the youngest being named Amy. We all picked a March girl to be like. I was Jo. This is such a creative story. The girls play and make their own fun and they fall in love. I always wanted Jo and Laurie to be together in the films. I was upset they weren't. But, when you read the book you know they aren't meant to be. You know whom Laurie belongs with. This is one of my favorites of all time. 04. 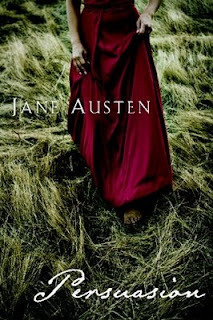 Persuasion by Jane Austen- I love second chance stories. It is as if the universe is saying that they belonged together all along but just weren't ready for each other yet. It means their love is so strong they've lasted through so much. It means a humbling of the heart. What's not to love?! 05. 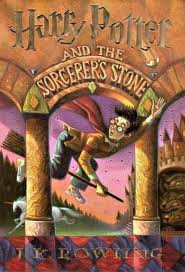 Harry Potter by JK Rowling-It's Harry Freaking Potter! I read it about a year after it came out. I was 18 and had already graduated high school. I saw a kid with this big book and asked him what he was reading. I went directly to the book store. What could be that interesting to keep a child reading such a big book? Brilliant on so many levels I don't have time to talk about them all. It never gets old either. I could read these books over and over and it would never gets old. 06. Confessions of a Shopaholic by Sophie Kinsella was given to me by a friend. I think this was my first experience with chic-lit and I loved it. I couldn't stop laughing! She is on my auto buy list. I love her humor and wit. This is such a great series. 07. 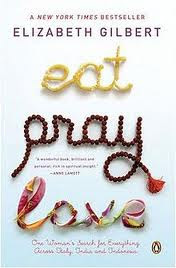 Eat Pray Love by Elizabeth Gilbert-I watched an Oprah about this book. All these women were sharing about how they changed their lives because of it. I wanted to know what all the hype was about. My Mom and I read it together. I loved it all. It made me want to get out and try new things. See the world. I'm now living in Scotland! 08. The Gable Faces East by Anita Stansfield-I read this book exactly 10 years ago. I am obsessed with it. I've re-read it several times since. I love the Australian setting and the epic love story has me weak in the knees. It never gets old. 09. 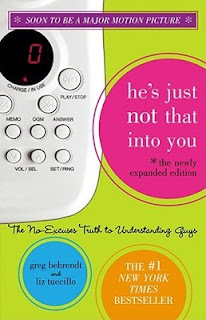 He's Just Not That Into You by Greg Behrendt and Liz Tuccillo-Ya'll, this book helped me get over a boyfriend. I read it long before the film came out. Which I still find funny that they could make a film out of this. It isn't even fiction! 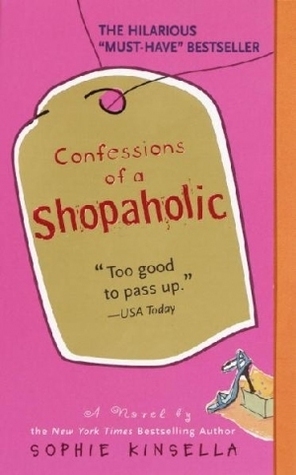 It's a self help book--and I loved it! I laughed and cried through the whole thing. It put things into perspective. Told me what was what. 10. 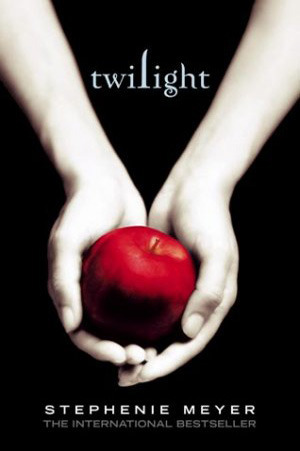 Twilight by Stephanie Meyer-There. I said it. I loved it. It got me all obsessed and all that good stuff. I devoured the books like a drowning woman searching for oxygen. It was my first taste of YA paranormal. I definitely need to add Anne of Green Gables to my list. This was childhood favorite of mine! 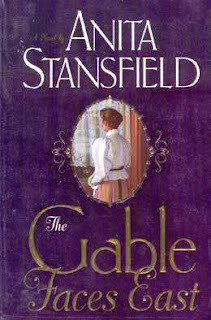 I've never read Anne of Green Gables. But I have caught the two mini series (1985 & 1987) and I thought they were lovely. Have you seen them? Great books many of which I have on my bookshelf or have read. :-) My Top Ten Happy Reading! Such a great list. Several of these should have made my list too. I wish I had kept track of all the books I read because I've forgotten so many of them! Oh Anne of Green Gables. Such a favorite of mine when I young. Great list! I think I've seen you mention The Gable Faces East before. I still need to pick that up. Ahh, Little Women. I love that book! Oooo I forgot To Kill a Mockingbird and Anne of Green Gables. Both great books! ANNE OF GREEN GABLES and TO KILL A MOCKINGBIRD and TWILIGHT are all books I very much enjoyed (and, in the case of the former two, loved). It makes me absurdly happy that I've read EIGHT of the books featured on your list. I LOVE Harry Potter (and I'm a devoted Potterhead). But I'm really happy that Anne of Green Gables is on this list!